Hey there, lovelies! Last week a filmed several videos in one day. One of those videos is a first impressions video for a set of discount matte lipsticks I purchased from Amazon this month. Have you Heard of KleanColor? Prior to my purchase, I'd never heard of the brand before. I was looking to try my hand at darker lip colors that fell outside of my comfort zone. 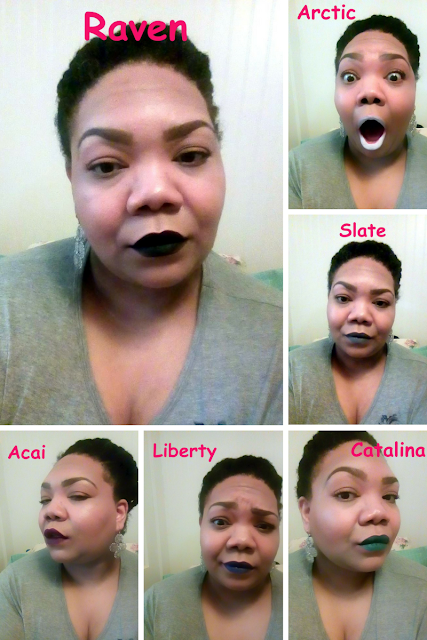 What intrigued about the brand was they had a set of six lipsticks for $6.64 that included a black, white, and gray shade. 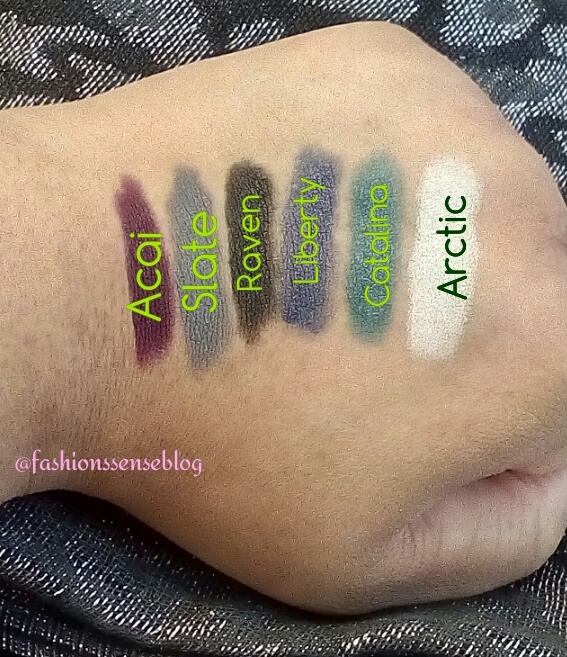 These are colors I wanted to try but did not want to spend a lot of money to do so. 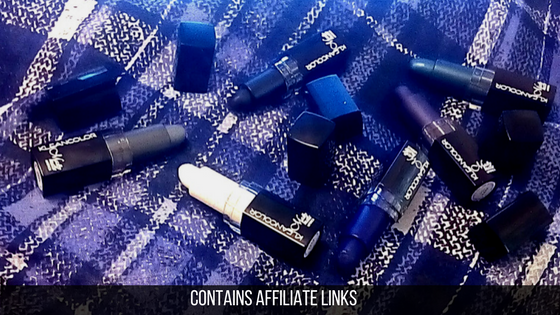 The six-piece set also comes with a purple, blue, and dark teal shade. All of them are colors I already wear. Pros: Colors are beautiful in the tube. The packaging is nice. Lipstick is not drying. It feels moisturizing. Dries to a semi-matte finish. They layer well. Cons: Color applies streaky. Lipsticks can bleed. Color transfers quickly. Amazon.com for $6.64 and it is eligible for Prime Shipping.